Asian Coast Development Ltd. Annouces Strategic Agreement To Invest $95 Million By Pinnacle Entertainment, Inc.
VNRE – Asian Coast Development (Canada) Ltd. (ACDL), the owner and developer of the Ho Tram Strip beachfront complex of destination integrated resorts and residential developments in southern Vietnam, announced today that it has entered into a subscription agreement with Pinnacle Entertainment, Inc. (NYSE: PNK) under which Pinnacle will acquire a 26% equity interest in ACDL in exchange for a $95 million investment in ACDL. In addition, Pinnacle will enter into a management agreement through 2058 for the second integrated resort of the multi-phase Ho Tram Strip destination resorts project. The Ho Tram Strip is located approximately 80 miles southeast of Ho Chi Minh City, Vietnam’s largest city that attracts the majority of Vietnam’s 5 million tourists each year. The agreements include a potential 20-year extension of Pinnacle’s management contract and proportional representation on ACDL’s board of directors and are subject to customary closing conditions. 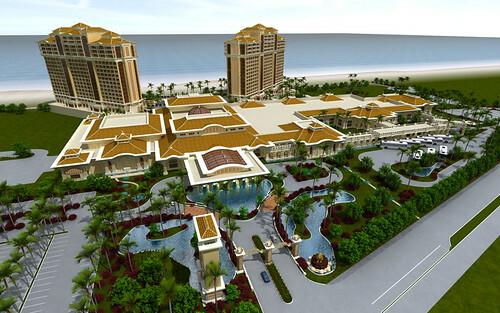 The Ho Tram Strip will be Vietnam’s first destination integrated resort and gaming complex and is scheduled to open in multiple phases, beginning in 2013. 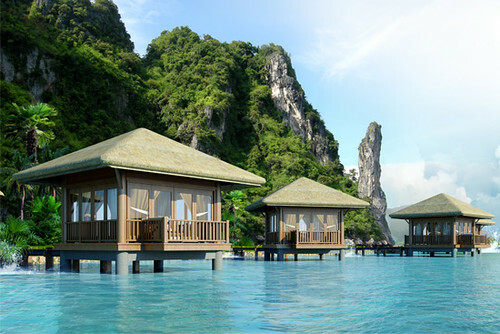 The multi-property resort complex is being developed by ACDL under an investment certificate from the Government of Vietnam, the first of its kind. The first resort of the Ho Tram Strip, MGM Grand Ho Tram, is currently under construction and will be managed by MGM Hospitality, a subsidiary of MGM Resorts International. The first phase of the MGM Grand Ho Tram will feature 541 luxury guest rooms and suites, a full spectrum of world-class restaurants and amenities, exquisite VIP accommodations, a conference center, and a spectacular entertainment area featuring 90 live table games and 500 electronic games. The second integrated resort of the Ho Tram Strip, to be jointly developed by ACDL and Pinnacle and managed by Pinnacle, will be owned by ACDL. It is expected that the second integrated resort will be similar in scope to the MGM Grand Ho Tram resort that is currently under construction. 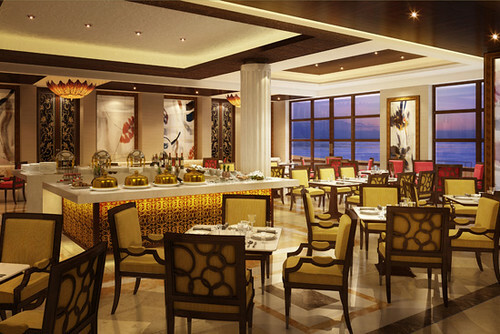 It will be jointly branded by ACDL and Pinnacle as a distinct and premium resort. “Participation in the development of the Ho Tram Strip was a highly sought after opportunity in the gaming industry. We are delighted to be a part of Vietnam’s strategic vision for the further development of its tourist industry, an investor in ACDL and a partner on the Ho Tram Strip project,” said Anthony Sanfilippo, President and Chief Executive Officer of Pinnacle Entertainment. “We are delighted to see critical mass being created at Ho Tram and look forward to welcoming our new neighbors. This transaction is an important endorsement for Vietnam’s growing profile as a world-class tourism destination and we look forward to opening the MGM Grand Ho Tram in 2013,” said Gamal Aziz, President and CEO of MGM Hospitality. Asian Coast Development (Canada) Ltd. (ACDL) is an international development company specializing in integrated resort destinations. ACDL, through its wholly-owned subsidiary Ho Tram Project Company Ltd, is the developer of the Ho Tram Strip, a group of integrated resorts to be located on more than 400 acres of land and more than two kilometers of pristine beach in Ho Tram, and approved in an Investment Certificate issued by the Government of Vietnam. With a focus on providing a personalized blend of excitement and relaxation, the Ho Tram Strip will feature something for everyone, from lavish entertainment to premium shopping and exceptional recreational facilities. Pinnacle Entertainment, Inc. owns and operates seven casinos, located in Louisiana, Missouri, Indiana and Nevada, and a racetrack in Ohio. 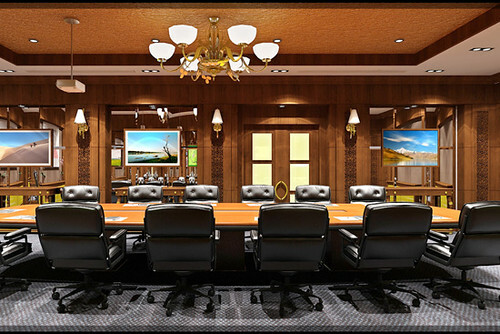 Pinnacle is also developing L’Auberge Casino & Hotel Baton Rouge, which is scheduled to open in the summer of 2012. 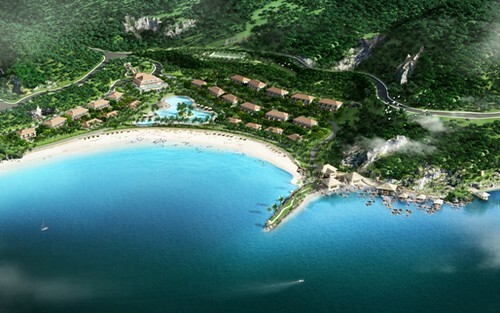 In May 2011, Pinnacle entered into an agreement to acquire a 26% ownership stake in Asian Coast Development Ltd. (ACDL), an international development and real estate company currently developing Vietnam’s first large-scale integrated resort. For more information about Pinnacle Entertainment, please visit http://www.pnkinc.com. Harbinger Capital Partners is a multi-billion dollar private investment fund based in New York which employs a fundamental approach to investing. Harbinger Capital Partners is led by Philip A. Falcone who has been the Chief Executive Officer and Chief Investment Officer of funds affiliated with or managed by Harbinger Capital Partners since 2001. Mr. Falcone has more than 20 years of investment experience across an array of market cycles. For more information on Harbinger Capital Partners, please visit http://www.harbingercapital.com. Source: ACDL & Pinnacle Entertainment. VNRE – Sai Dong Urban Development and Investment JSC, an affiliate of Vincom Corporation, on Tuesday started marketing its Vincom Village multipurpose project underway in Long Bien District in the capital city of Hanoi. 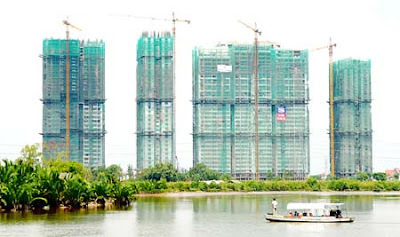 The developer says some VND10,000 billion, or nearly US$500 million, will be set aside to develop the project on 183,5 hectares including 60 hectares of water surface east of Hanoi, some 6.5 km from Ho Guom (Sword Lake). 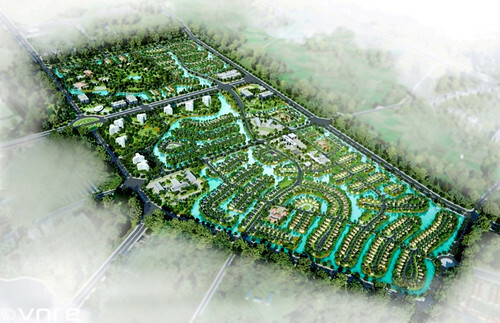 The project is envisioned including a 38-hectare section for French-style villas, a section for Grade A office buildings and high-end apartments, and a commercial services section named Vincom Center Long Bien. Besides a sport center and an outdoor food court, an international hospital, two schools and a kindergarten will be built to serve the project’s future communities. Mai Huong Noi, general director of Vincom Corporation, says the company wants to set a record in the project development speed. The project got off the ground on May 12 this year. As planned, villas will be handed over to buyers from September and the shopping center, Vincom Center Long Bien, will be opened by December 24 this year. The second phase with the remaining facilities will be finished by 2013. In related residential market news in the region, the property services provider Savills Vietnam said that prices of villas and townhouses in the capital city continued to increase in the first quarter of this year, 20% for villas and 15% for townhouses. Average secondary asking prices recorded in Tu Liem, Cau Giay and Tay Ho districts were around US$6,400 per square meter. For districts far from the central business quarter such as Me Linh and Quoc Oai had the lowest price from US$800 to US$1,200 per square meter. According Savills, 103 projects across 14 districts provide the market some 34,600 villas and townhouses. 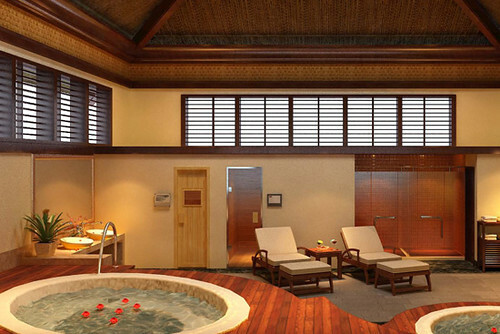 The demand for the properties is identified among mainly wealthy Vietnamese. In the office building sector, the overall market recorded a slight increase in occupancy performance to 90% in the first quarter of this year. Average rent remained unchanged compared with the previous quarter, at US$26 per square meter. The office market in Hanoi currently has 760,000 square meters, but there will have some 1.2 million square meters of office space to enter the market in the next three years. Meanwhile the retail market saw a slight decrease in the average occupancy rate to 92% in the first quarter. Some retail buildings launched promotions and discounts in order to attract more tenants. The market observer says the total retail space of 440,000 square meters in the market will be increased significantly as 100 projects will supply some 1.2 million square meters in the next four years. VNRE – Real estate firm Mapletree Investments said it plans to launch three property funds worth US$2 billion over the next few years. The funds will invest in commercial and mixed-use properties in China, Vietnam and Japan. Mapletree, the real estate arm of Temasek Holdings, also announced a 90 per cent increase in its profit after tax to S$747 million for the full year ended March 31, driven by higher rental contributions from its assets. Mapletree Investments hopes to attract institutional investors into its three new Asian property funds. The firm said that investors are looking at annual internal rate of returns of between 12 and 22 per cent from these funds. For the Japan Fund, Mapletree will use US$300 million to US$500 million to buy more office properties in the outskirts of Tokyo city centre as well as Osaka and Nagoya. Three of such properties are already present in the fund as seed assets. The firm is targeting a 18.5 per cent rate of return from the fund and it is expected to launch this year. A similar amount will be used for the Vietnam Fund, which focuses on mixed retail, office and serviced apartment projects in major Vietnamese cities. It is expected for launch in 2013. Mapletree Investments counts a serviced apartment property in Hanoi and an upcoming retail and serviced apartment project in Ho Chi Minh City. It is targeting an annual rate of return of 22 per cent. Mapletree will also use US$500 million to US$1 billion for its new China fund. The fund’s assets will be in first and second tier Chinese cities. The fund will acquire mixed developments with residential components in China. Mapletree is targeting assets under management of S$20 billion to S$25 billion by March 2014, with a higher proportion of managed assets to owned assets. It currently owns and manages S$15.4 billion of assets in total. Analysts said Mapletree’s long-term strategy for China and the rest of Asia is on the right track. Mapletree’s revenues from 2010 grew 30 per cent to S$454 million. Higher rental income from Vivocity, Mapletree Anson and Mapletree Business City drove revenues higher. Mapletree’s newly-acquired overseas properties in Vietnam and Japan also drove revenues, said the firm. 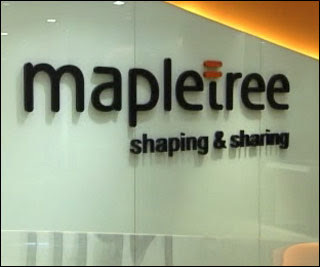 The firm also saw higher fee income from the initial public offering of Mapletree Industrial Trust in October last year. The firm said it has no plans to tap a public listing for additional funds due to its well-capitalised financial position. Mapletree said the total real estate assets it owned and managed hit S$15.4 billion at March 31, up 19 per cent from S$12.9 billion a year ago. VNRE – Like other property segments, entertainment property projects play an important role in the market as it, besides bringing profits for developers and offering services to communities, will support significantly to the development of the tourism industry. Thanks to having developed large-scale theme parks, some countries have become more popular in tourists’ hearts and minds, attracting thousands of visitors every year. However, developing entertainment projects with support facilities attractive enough to lure local and international visitors is a problem that requires adequate investment and market research for most property developers. Speaking at a property conference and exhibition Vietnam International Real Estate Connection (VIREC), hosted by G4B Branding Real Estate Marketing Company in HCMC last week, Nguyen Van Tuan, head of the Vietnam National Administration of Tourism, said Vietnam was a popular destination for international visitors. This was proved by the increasing number of international arrivals every year, as well as the increase in the number of local tourists. Tuan said the country’s tourism industry strategy was shifting towards being more competitive. Therefore, developing leisure property projects would contribute to supporting the sector, going along with the orientation of the country’s tourism development strategy set by the Ministry of Culture, Sports and Tourism. Thibault Paquin, principal of the Hong Kong-based company Celebrating Life Asia, shared experiences to participants at the event themed ‘Modern Entertainment Investment Inspires the Next Development’ and said that the leisure industry had changed a lot with many entertainment projects underway. Paquin said among Asian countries, China with huge yearly revenue from the local tourism market had developed some large theme parks in the country. 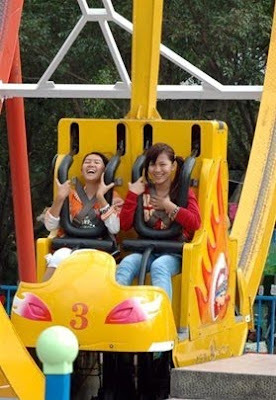 Countries such as Thailand, Cambodia, Malaysia and Indonesia were going ahead with their plans to develop amusement projects. He presented participants with three model investments, saying privately developed projects were often small in scale and generate low profits to developers. Meanwhile in the second model, local government would support developers by offering land with infrastructure development. International investors often chose this model thanks to having support from local government; however, it sometimes required longer negotiations with local authorities. In the third model investment, a developer would develop land and infrastructure, and then invite other partners to jointly develop the project. Looking to the current situation in Vietnam, he suggested local developers should combine the first and third models to develop an entertainment project. In fact, local group Khang Thong has called for partners to invest in its entertainment complex which covers 266 hectares along the Vam Co Dong River in Long An Province’s Ben Luc District. The USD2 billion Happy Land project, which is likened to the world’s famous resorts such as Disneyland or Universal Studio, will include leisure and water parks, commercial centers, three-to-five-star hotels, restaurants, discotheques, and indoor and outdoor theaters. Luke Riley, Asian regional director for Sanderson Group International, said there were certain aspects developers should not overlook, including market research and feasibility studies and adequate investment. Site and area evaluation, demographic assessment, competitor analysis and forecast attendance figures are what a developer should do before rolling up its sleeves to develop an entertainment project. He said adequate investment will help developers swiftly return on investment. Paquin said that China spent 10 years trying to attract international theme park developers to the country, and wondered whether Vietnam could and should attract foreign developers now. Tong Van Nga, vice chairman of the Vietnam Real Estate Association, said the developing entertainment project required a specific plan; and each region has its own characters, thus a theme park project should be developed based on those characters. He, however, said that there was still a long way to go before Vietnam calls for international investors to develop the entertainment industry. VNRE – Some apartment building projects have been adjusted into house and villa projects because investors are having difficulty in selling apartments. The apartment market was very buoyant in 2007. During that time, apartments sold as soon as construction on them started. Now, due to high lending interest rates, people do not want to borrow money from banks to buy property hence owners have no takers for their apartments. This has resulted in a surfeit of apartments. Tens of thousands of apartments have no takers even though apartment owners are doing their best to lure buyers and even lowering selling prices. In order to get back investment capital quickly, project owners have switched to building houses and villas rather than many apartments that are difficult to sell. For instance, an area of nearly two hectares in District 7 in Ho Chi Minh City was an apartment building project with about 1,000 apartments. When the project was launched, its owner found it difficult to sell flats so he switched to building houses. Customers then flocked to buy all the 100 houses that will be constructed on the 2-hectare area. Similarly, an apartment project in District 9 has been changed into a villa project after the owner realized that the apartment market was on the wane. 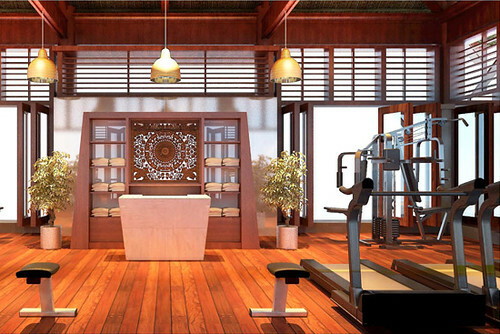 The owner claimed that after the villa project was launched, most of the villas were registered quickly. He said that owners did not profit greatly by selling houses or villas but they sell more rapidly than flats and investments are recovered quickly. According to the HCMC Department of Planning and Architecture, some investors in Binh Chanh and Thu Duc districts and districts 8 and 2 have asked for approval to build houses and villas rather than apartment buildings. An authority from the department said building houses and villas has become a trend to stimulate demands in the property market, which is in a slump. Therefore, relevant agencies should be flexible to approve house and villa projects depending on the location. Investors should be allowed to develop houses and villas in areas that are far from the city center, close to the river or in rural areas. VNRE – Jardine Matheson, a UK diversified business group that focuses on Asia, is still interested in a prime location in downtown HCMC where it plans to develop a multi-purpose complex. 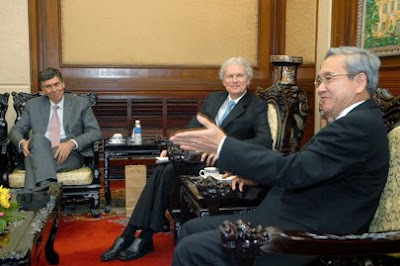 At his meeting with HCMC vice chairman Nguyen Trung Tin on Monday, Anthony Matheson, CEO and Managing Director of Jardine Matheson Group, repeated a request for prime-site land he made at a meeting with city chairman Le Hoang Quan eight months ago. “Through the member company of Dairy Farm International Holdings Limited (DFI) that specializes in operating supermarkets, hypermarkets, health and beauty stores, convenience stores, home furnishings stores and restaurants, we’ve developed a major supermarket and retailer chain in Malaysia, Singapore, Brunei, Indonesia and UAE,” he said. “In Vietnam, we’ve cooperated with Phu My Hung Corporation to develop the Crescent Mall in District 7,” said Matheson. As for the planned multi-purpose complex project, Matheson said his company wanted to develop it at 164 Dong Khoi Street in District 1. The project will include a shopping center, 5-star hotel, apartments and offices for rent. However, Tin said, the central Government, not the city, could only decide this. The Government may invite tenders for this location or appoint a competent investor to develop it, he said. The 9,700-square-meter site in front of the Notre Dame Cathedral and Metropolitan building is divided in two parts, comprising a French-style building that is used as the head office of the Department of Culture, Sports and Tourism and a 2,600-square-meter area that is home to 154 households. About 66 local and foreign investors also want to bid for the location.